This book examines depression as a widely diagnosed and treated common mental disorder in India and offers a significant ethnographic study of the application of a traditional Indian medical system (Ayurveda) to the very modern problem of depression. 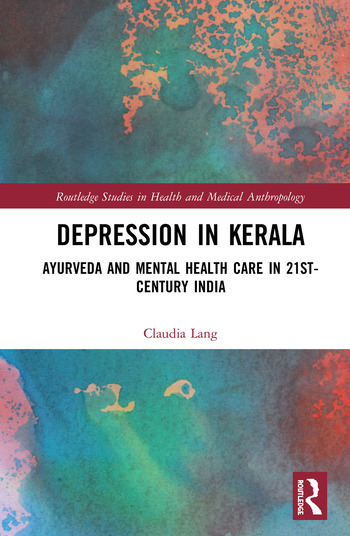 Based on over a year of fieldwork, it investigates the Ayurvedic response to the burden of depression in the Indian state of Kerala as one of the key processes of the local appropriation or glocalization of depression. More broadly, Lang considers: What happens with the category of depression when it leaves the West and travels to South Asia? How is depression appropriated in a South Asian society characterized by medical pluralism? She explores on the level of ideas, institutions and materialities how depression interacts with and changes local worlds, clinical practice and knowledge and subjectivities. As depression travels from ‘the West’ to South India, its ontology, Lang argues, multiplies and thus leads to what she calls ‘depression multiple’. Claudia Lang is an ERC-funded postdoctoral research fellow working on the GLOBHEALTH project at Cermes3 (Center for research in medicine, science, health, mental health and society) in Paris, France.